You are probably already familiar with this screen. 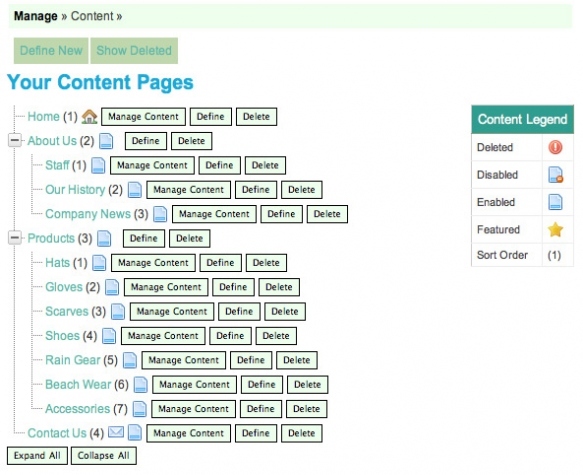 This should resemble the main content tree of your site when you first got it. From this screen you can add new pages with the 'Define New' button, manage content of any of your site pages by clicking the 'Manage Content' button next to the appropriate page, 'Define' the properties of a page, 'Delete' a page, or restore a previously deleted page by clicking the 'Show Deleted' button.